Dr. Phillip Frost has a true knack for investing, a unique vision that allows him to see tremendous value where no one else would, and time and time again Frost has exploited this vision to reap 1000%+ gains on his investments. Frost did this with Key Pharmaceuticals, he's done it with Ivax Corporation, and I have every reason to believe that he's now doing it with Opko Health (OPK). The characteristics between Ivax's path to success and Opko's current path are strikingly similar, and with the help of Dr. Jane Hsiao, who seems to be a huge driving force behind a number of Phillip Frost related investments, Opko is priming itself for an extended run of the bulls. Shares of Opko are currently trading 30% below their most recent high, the company has an investor presentation this Tuesday at the 32nd annual JP Morgan Healthcare Conference, and multiple insiders have recently been loading up on shares. 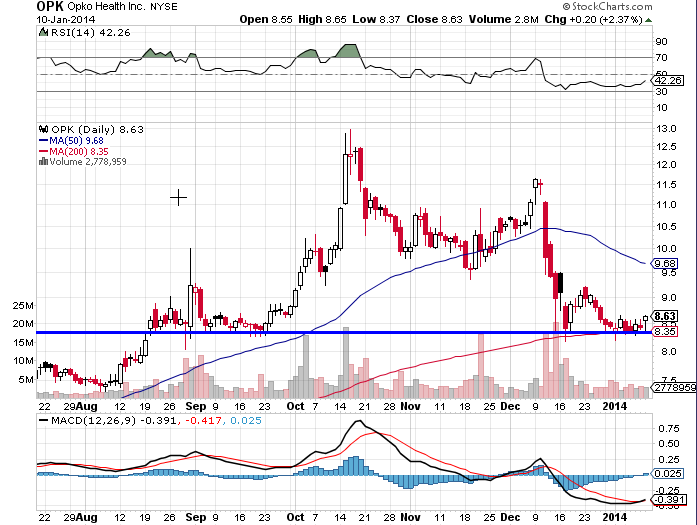 Add the fact that shares of Opko Health are trading at key support levels and have multiple technical indicators pointing towards a price increase now seems like a prime time to open a long (speculative) position in Opko Health. After stumbling upon an extensive write up on the history of the Ivax Corporation, the company that Frost sold to Teva Pharmaceuticals (TEVA) for $7.4 billion, I noticed a number of descriptions about Ivax Corp. that were eerily similar to the current developments/criticisms surrounding Opko Health today. Do any of these points sound familiar to current Opko investors/followers? To the casual observer, IVAX may have seemed a rather odd organization with limited potential. However, Frost had big plans for the fledgling operation. Frost eventually decided to develop and market new delivery systems for proven drugs. He believed that he could eliminate the time, costs, and risk associated with developing entirely new drugs. Although IVAX's three companies were a strange mix, they reflected a shrewd strategy conceived by Frost to make IVAX into a major developer, manufacturer, and seller of proprietary drugs. First, IVAX would buy drugs that already had passed the expensive and time-consuming regulatory approval process. Second, cash flow from those drugs would be used to purchase drugs that were not yet approved but had shown promise in preliminary clinical trials. Finally, earnings from those drugs would be devoted to the internal development of new drugs by IVAX's own scientists. Despite analyst's doubts concerning IVAX's long-term prospects, Frost and his management team viewed massive growth during the early 1990s as part of their original growth strategy. The personal success of IVAX's driving force, Frost, was just as impressive--Frost still owned nearly 20 percent of the company in 1994 and was serving as chairman, chief executive, and president. 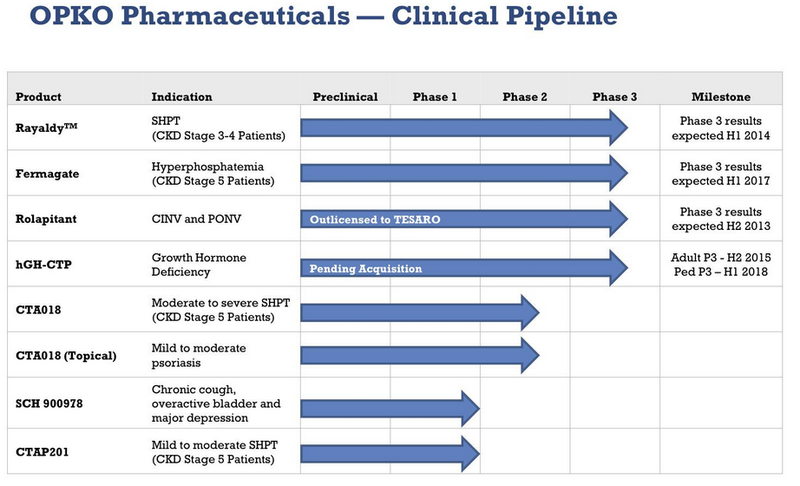 With a massive pipeline of both pharmaceutical drugs and diagnostic equipment in trials ranging from preclinical to Phase III, it seems pretty clear that Frost will be utilizing the same three step business plan he utilized to grow Ivax Corporation into the behemoth that it became. While many short sellers of Opko Health, such as Anthony Bozza and Whitney Tilson, see a money burning developmental drug company that has no clear strategy moving forward and a history of consistent failure, I see a promising developmental drug company that is creating a global distribution presence thanks to the swift, cheap, and strategic acquisitions of profitable generic pharmaceutical companies located around the world. Frost is building a global infrastructure of distribution centers that will cater to the future potential of Opko's strong pipeline of drug candidates, just like he did with Ivax. Opko has made several strategic investments in startup medical companies that are developing breakthrough therapeutic technologies. 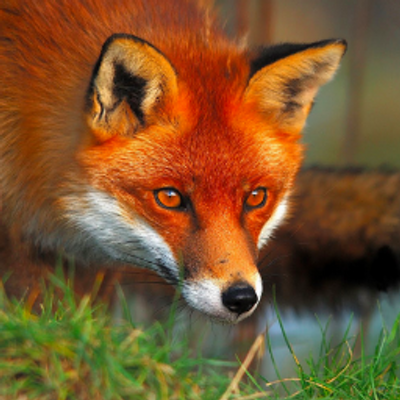 Several investments include Biozone (BZNE), which recently merged with CoCrystal Discoveries, another Opko investment, Chromadex (CDXC), Neovasc (NVCIF), Tesaro (TSRO), and Senesco Therapeutics (SNTI), which recently merged with Fabrus, another Opko investment. 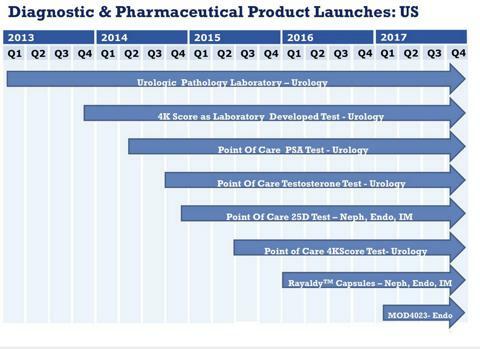 I believe Opko is taking a strategic position in these companies (and many others) for two reasons; First, Frost believes that these companies are severely undervalued, and second, Frost feels that Opko Health could benefit from the future licensing rights/acquisition of the product being developed by said company. Neovasc Inc develops two lifesaving cardiovascular devices (one in early stage development, other preparing for commercialization) that both address multi-billion dollar markets. In the snap of a finger, Opko Health could acquire this company or licensing rights to its products and immediately become a contender in the rapidly growing cardiovascular device market. 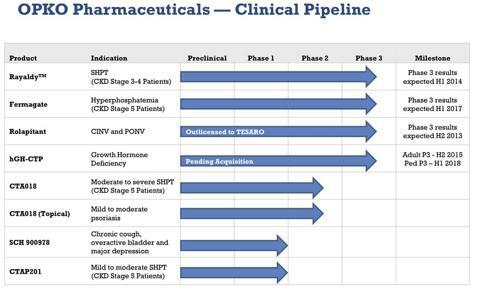 If Neovasc does not seem to be a realistic fit for Opko Health, they can sell their position down the road and record gains of upwards of 10X their initial investment, just like they recently did with their exit in Sorrento Therapeutics (SRNE). While the $22 million generated from the exit of Sorrento is peanuts when compared to Opko Health's $3.5 billion market value, the point is that Phillip Frost and Dr. Jane Hsiao have a keen eye for spotting out undervalued companies with potential breakthrough therapies, and exploiting their potential to increase shareholder value. Speaking of Dr. Hsiao, I believe an equal amount of attention should be focused on her as it is for Frost (along with Steve Rubin for that matter). Hsiao worked closely with Frost and Rubin while at Ivax, and she is currently the CTO and vice chairman of Opko. Dr. Hsiao has a PhD in Pharmaceutical Chemistry and Medicinal Chemistry, and an M.B.A degree. Hsiao's net worth should be approaching a billion dollars, thanks to shares of Opko Health strong performance in 2013. TransEnterix (TRXC), a company that's developing a revolutionary surgical robot, describes board of director Dr. Hsiao as follows, "Her broad experience in many biotechnology and life science companies gives her a keen understanding and appreciation of the many regulatory and developmental issues confronting medical device, pharmaceutical and biotechnology companies." Although Dr. Frost is clearly a genius, for us it has been more about Dr. Frost and his team," continued the analyst. "He has some very special people at each shoulder between Jane and Steve and for us, it has a lot to do with Jane Hsiao who we think is a Time magazine cover story in the making. We think the real story that is being missed is Dr. Jane Hsiao and how she has been approaching this investment of her time. Investors who follow the stock purchases of Dr. Phillip Frost should be following the stock purchases of Dr. Jane Hsiao just as much. Her decades of expertise in the medical industry should speak for itself, and her managerial experience means she's in tune with creating shareholder value from the companies/products she deems worthy. Opko Health is just like any other developmental pharmaceutical company, and regardless of their impressive group of management, the drugs and devices in development have the potential to fail their clinical trials and negatively affect the share price. The company's revenue continues to grow, but Opko Health has yet to post a profit since Phillip Frost became CEO and Chairman of the company back in 2007, and the company has an accumulated deficit of nearly $500 million. While Opko Health is an appealing long term investment, shareholders should consider the current age of Phillip Frost (78), and understand that any abrupt step down by Phillip Frost, or any announcement of a deterioration of health would impact this stock and other Frost related companies for the worse. However, the upbeat energy in recent interviews, Frost's constant fear of boredom, and the assumed healthy practices of a once practicing doctor point to a few years before Frost will consider stepping down and retiring for good. Furthermore, the impressive credentials and experience of Frost's two closest business partners, Hsiao and Rubin, should allow them to continue Frost's legacy at Opko Health long after Frost's departure. An insider of the company recently sold a small portion of his Opko shares, however, the company released a statement explaining that, "The reporting person sold the common stock in part to satisfy federal and/or state income tax obligations in connection with his acquisition of shares of OPKO common stock through the next exercise on January 7, 2013." Opko Health seems to be following the exact footprints of Frost's last critical success, Ivax Corporation. 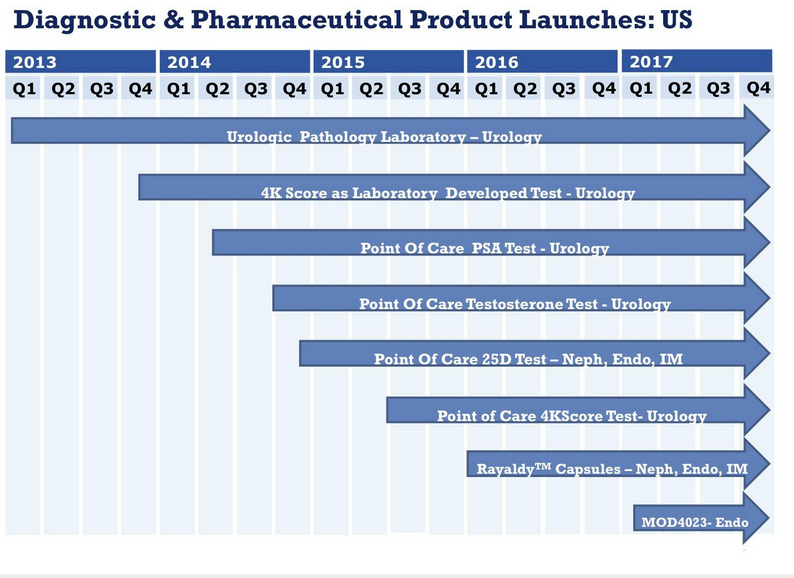 The similarities between the two, such as the broad range of investments and acquisitions, the diverse offering of both diagnostic equipment and pharmaceuticals, and the expansion into global markets through small pharmaceutical companies, are a testament to the fact that Frost is utilizing the same successful business model he has in the past, and that Opko is preparing to be situated in multiple high growth markets for an extended period of time. Dr. Frost, along with Dr. Hsiao and Steve Rubin have rebuilt Opko from the ground up, and they stand to repeat history again once the introduction of several promising drugs and devices materializes. With shares trading at a technically appealing level, an upcoming investors presentation that can potentially act as a catalyst, and increased insider buying from Frost (16 times in past month), and recent insider buying from a director, speculative investors should consider opening a long position in the company with a stop loss set near $8.30. A drop below this key trend line would signal a further depreciation in share price. No Comment to " Opko Health: History Tends To Repeat Itself "